My instructor seamlessly adjusted my sessions to support my changing physique and ensured my body could withstand the additional demand of carrying a baby. Pilates is a safe and empowering way to stay active and strong at every stage of your pregnancy. Our one-on-one sessions designed just for you can help you have a more comfortable pregnancy, a smoother delivery, and be better prepared for the physical demands of motherhood. Pregnancy is a particularly important time to listen to and trust in your body’s wisdom. As your baby grows your center of gravity shifts, causing a cascade of postural changes that, unsupported, may cause tension and strain through your back, neck and shoulders. By developing upper body strength and internal support within a mindful exercise program, you can increase confidence and release discomfort; not only for a happier pregnancy, but to better meet the demands of lifting and carrying your newborn. 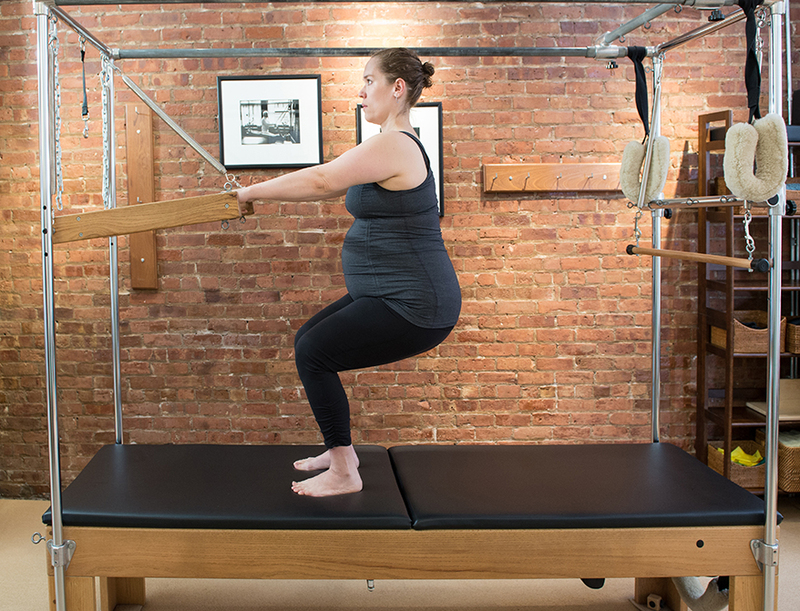 At finetune, our pre-natal and post-partum protocols go beyond the simple modification of classic pilates exercises and address the wide range of changes you may be experiencing. Your Pilates sessions will offer you a time each week of self-nurturing and attention, improving everything from your quality of sleep to your physical and mental steadiness. We look forward to supporting you at this incredible time in your life.